Benefits of Going to L16 AGM? 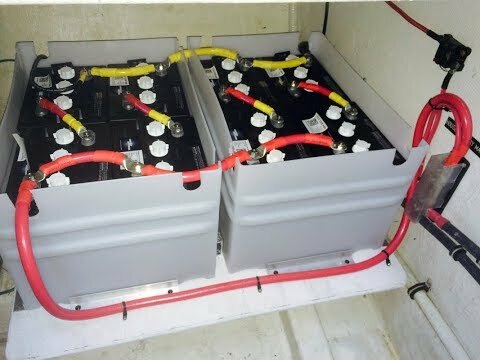 Does removing 8 lead acid batteries to 6L16’s increase my amp hours about 20-25 percent? 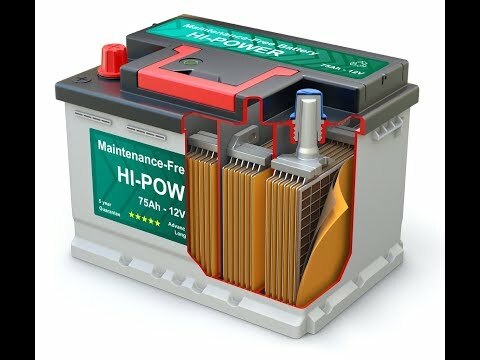 What are the differences in charging rates of AGM’s and lead acid batteries? 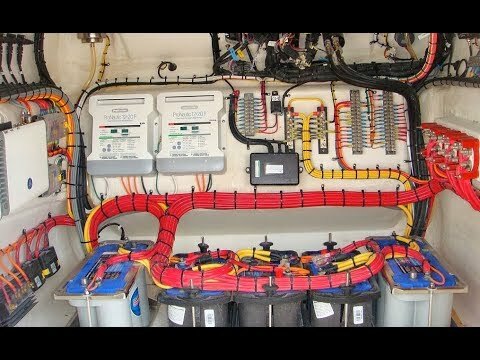 8 flooded lead acid golf carts (in 12 Volt configuration) are 880 Ahrs (since 4 pairs of 220 Ahrs). Useable flooded capacity while cruising is between 50% and 85% of capacity, i.e. 35% of 880 Ahrs = 308 Ahrs. 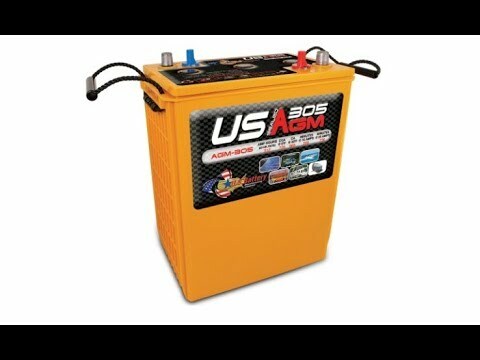 6 AGM lead acid L16 (in 12 Volt configuration) are 1170 Ahrs (since 3 pairs of 390 Ahrs). Useable AGM capacity while cruising is between 30% and 85% of capacity, i.e. 55% of 1190 Ahrs = 643.5 Ahrs. This gives you a net benefit of 208% capacity (since 643.5/308). AGM can take a theoretical charge rate of 40% versus 25% for flooded. 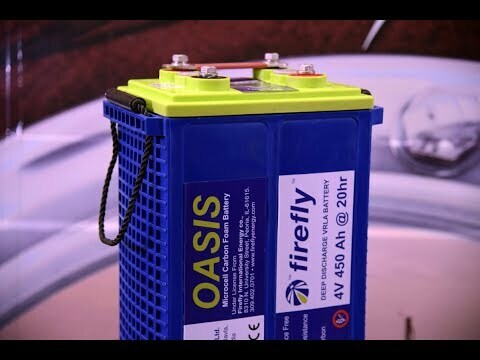 If you have an AGM bank of 1170 Ahrs, a charger of 150 A is only 12.8% of capacity. 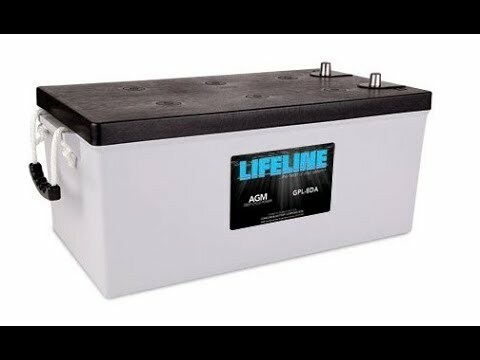 Under-sizing a charger to a battery bank is one of the most common reasons for premature battery failure. As such, you can easily take on another 100 amps, for a total charge rate of 250 A, now charging at 21.6% of capacity. 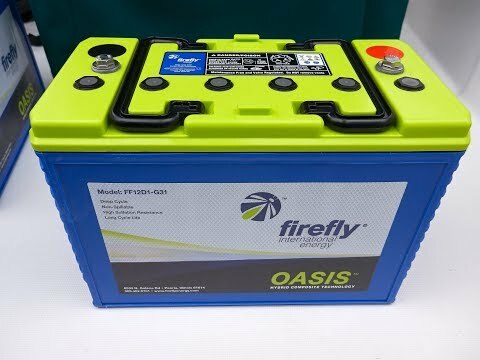 AGM batteries can easily take a charge rate less than 25% of capacity.